Brilliant amber color. Bright, woody, rubbery aromas of lacquered wood, dark roasted nuts and bananas, rubber leaf and sap, and toasted meringue with a supple, vibrant, off-dry medium body and a warming, complex, medium-long dried fruits and grass, pink pepper, mocha cream, and fuel-like minerality and copper ore finish. A dimensional dark rum with lots of fun agricole and potstill character. 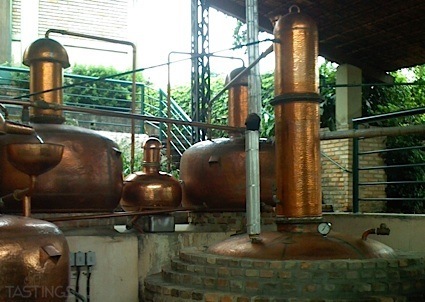 Bottom Line: A dimensional dark rum with lots of fun agricole and potstill character. 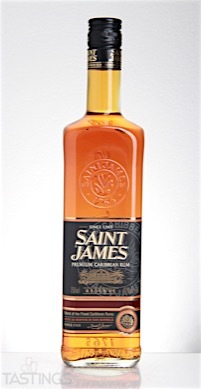 Saint James Reserve Rum rating was calculated by tastings.com to be 90 points out of 100 on 4/4/2016. Please note that MSRP may have changed since the date of our review.